“I am a full time artist with a unique style of photo realism in the medium of oils and pastels. As a realist artist, I believe in painting what i see catching a beautiful scene for the buyer to cherish for life”. Patrick spends long hours in his studio and has built a reputation as an artist you pushes super realism to the extreme, with great attention to detail while catching the light and beauty in his work. His work has been purchased by many private and corporate clients. 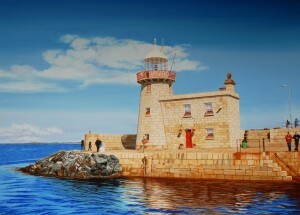 He has exhibited in many galleries and has also showcased his work at the bank of Ireland headquarters , Baggot street and College green.